The currency has traded in a 50-cent range since March, and measures of actual and implied volatility have dropped below their long-term averages. The rand is also the best-performing emerging-market currency this month, up 2.4% against the dollar. But that should not lull investors into a false sense of security, according to Nedbank Group. “FX volatility across most tenures remains below the three-year average - complacency is high,” Nedbank strategists Mehul Daya and Walter de Wet wrote in a note to clients. 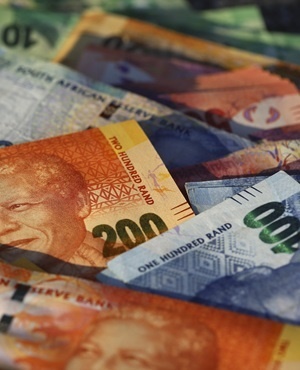 Recent gains in the rand, spurred by the global dovish tilt in monetary policy, could turn to a steep correction as local risks come into play, they said. The rand’s implied volatility versus the dollar, based on prices of options to buy and sell the currency, has been higher than realised volatility since early February. That suggests traders are anticipating wider price swings as the election approaches. Most polls are predicting a comfortable win for the ANC under President Cyril Ramaphosa’s leadership, but even with a strong mandate, Ramaphosa will face difficulties in introducing reforms that would stimulate the economy, consolidate government spending and reduce corruption.